On Monday, October 19, come and have a great time while supporting the Men of Temple Ahavat Shalom (MoTAS) and its community outreach by joining us at the 27th Annual MoTAS Charity Golf Tournament. The MoTAS Golf Tournament provides you with a full day on the links, including locker room usage, range balls, continental breakfast, a barbeque lunch on the course, and delicious post-course dinner. It includes golf-related contests, goody bags, some very nice prizes, and entertainment provided by “The Mulligan Man“. In addition, a raffle and a silent auction will be held during dinner to help support our charities. 2011 TAS Mens Club Golf Tournament from A Cut Above The Rest Productions on Vimeo. Click on the appropriate subheader to go straight to the information you want, or scroll down to read information sequentially. Every section provides a quick link to return to the Table of Contents (TOC), or jump to Registration. Where: Calabasas Country Club, 4515 Park Entrada, Calabasas, CA 91302. Click here for a Google Map. When: Monday, October 19, 2015. Additionally, there will be special, unannounced contests along the course presented by our Master of the Course, Eric Tracy, the Mulligan Man! Additionally, magician Danny Magic,a member in good standing of the world famous Magic Castle and the recipient of the 2012 and 2014 Strolling Magician of the Year award, will be joining us at the tournament. Danny does incredible close‐up magic and will be entertaining golfers during the Registration period while they are in line, on the driving range and on the putting green. The contests and fun do not end when you get off the course! During and after dinner there will be a number of contests, including a special raffle with a cash prize equal to 50% of the tickets purchased. Additionally, magician Danny Magic will return during the banquet, performing close‐up magic table‐to‐table. Danny also performs a big trick during the banquet and then auctions off a DANNY MAGIC PACKAGE that consists of a pass for 8 to the Magic Castle where he will meet the party and show them around (alternatively, Danny will perform for a private party at the high bidder’s home or office). He even tosses in a bottle of Magic Wine! As part of the Golf Tournament, there will be two auctions: a silent auction and a live auction. We are actively looking for silent auction and raffle donations; click here for information on donating an item. Prizes typically available on the auction table include restaurant gift certificates, theatre gift certificates, golfing and sports packages, and specialty items. You don’t need to be present to bid on the silent auction. Starting a month before the Golf Tournament, online bidding will be opened on silent auction items. This information will be transferred to the silent auction at the event. Additionally, you can purchase in advance a special Mulligan Man Package for $60, which includes entry in all on-course contests, free golf gifts, and one Last Man Standing ticket. Additional dinner tickets are available in advance for $36. Raffle tickets and additional Last Man Standing tickets may be purchased at registration. ♦ Name and link on MoTAS Wall of Honor webpage. Show your support for TAS and MoTAS for the entire year by advertising in the TAS Calendar/Golf Program. This book will be made available to MoTAS and temple members not only at the Golf Tournament, but at every Friday shabbat and MoTAS event. The book will contain the calendar of MoTAS events for the year, descriptions of each event, and links and information about community resources. This ad book encourages readers to spend their dollars with those businesses that support MoTAS and TAS. Our membership consists mostly of long-term residents who shop locally, are concerned about local matters, and who want to support the businesses in their community. They are likely to keep the TAS Calendar handy for easy reference. By supporting the TAS Calendar/Golf Program, both your business and the community benefit. Click here to see last year’s TAS Calendar/Golf Program. Supporter Ad – $18. Up to three lines of text. Business Card Ad – $36. Provide your business card or let us design the space for you. Honor/Memorial Ad – $36. A business card size space for your message honoring or remembering a loved one. Quarter Page Ad – $72. Full Page Ad – $250. Additionally, you can add color to an ad for an additional 10%. Quarter, Half, and Full Page ads may request special placement on the front or back covers, subject to availability, for an additional 10%. Our prize tables — both the raffle and the auction — depend on donated prizes. We hope you will support us by making a donation of your product or service. For your generosity, you will receive recognition in the event program and tournament website as well as all event publicity, and a tax deduction where allowable by law. This is an excellent advertising opportunity and a forum to express your support of local community functions. 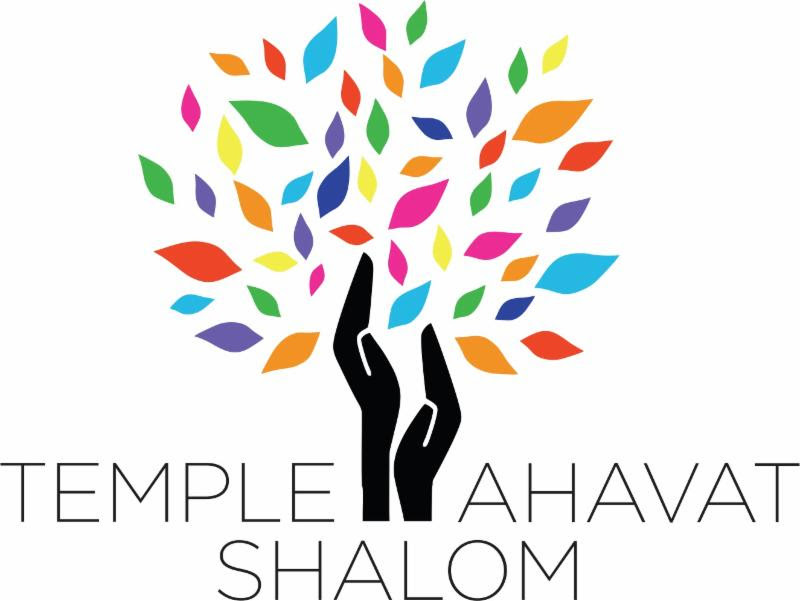 Your contribution identifies you as a supporter of Temple Ahavat Shalom and its programs, and our congregants will want to support those who support us. Click here for a printable donor form. MRJ REFORM ON CAMPUS (ROC) – The Reform on Campus (ROC) Grant Program, offered by the Men of Reform Judaism (MRJ), supports and encourages building Reform Jewish community on college and university campuses across the United States, Canada and worldwide. 2015-05-21: Initial version of page.